Two bears, actually. On the CBCA Book of the Year Shortlist. I was out when the announcements were made, and I’m not a smartphone kind of girl. So I found out via text message and slightly garbled phone calls (Frané Lessac, I’m looking at you!). First, someone told me that both Surface Tension and No Bears had made it onto the Notables list. I was thrilled by this. Later, other texts started coming in. No Bears had made the Shortlist too. Wonderful. Amazing. In two categories. Early Childhood and Picture Book. What? I hadn’t realised it had been Notable-d twice. I’m not sure I realised such a thing was possible. Apparently it is. What a thing. And then to make it through onto the shortlist in both of them, in some amazing company. Sonya Hartnett. Bob Graham. Jackie French. Ron Brooks. And not to mention a certain dynamic duo from just down the road a bit. I’m so thrilled. This year I couldn’t help but know the announcement was coming, and be quietly hopeful. Mindful, of course, that there are so many good books out there, and many different ways in which the judging winds might blow. But hopeful, all the same. The Shortlist isn’t the only place my (no) bears have been turning up lately. With its recent release in the US, reviews have been coming in, and many have been making me smile very widely indeed. This is perhaps the subject of another post as there’s some interesting food for thought in the possibilities some reviewers have seen in the text and I’d like to flesh some of that out a bit. But for now, enough perhaps to say that somehow, No Bears has managed to follow Duck for a Day and insinuate its way into the pages of The Wall Street Journal. This is unexpected, amazing stuff, and I’m very grateful for all of it. 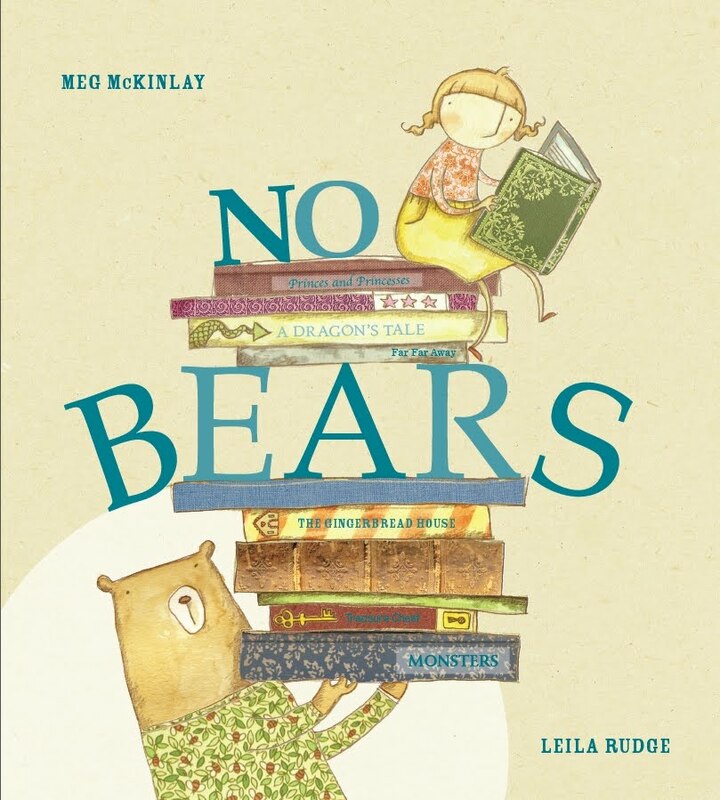 This entry was posted in Awards, CBCA, No Bears, Picture Books, Reviews on April 6, 2012 by Meg McKinlay.